Singapore has completed 50 years of nationhood with spectacular growth and all-round modernisation. As we look ahead, questions naturally arise: How did we get here and what is the way forward? How can we continue to grow and prosper for the next 50 years? 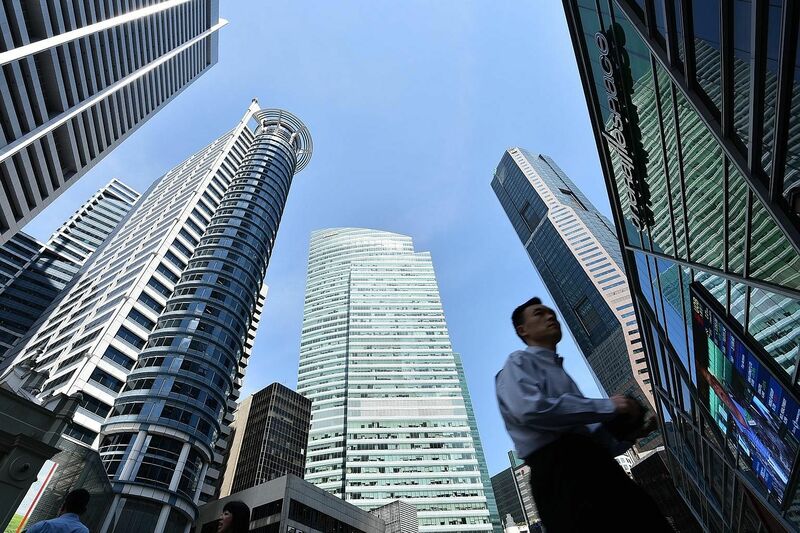 Given the rising competition from other countries, many of which are striving to emulate Singapore, we need to think of new growth strategies to stay ahead of the curve. Modern Singapore is the creation of the people and its leaders. A key economic pillar of our modernisation was to bring the world to Singapore. From the 1960s, the Government intensified efforts to bring the world to Singapore. Huge infrastructural investments were made, and incentives provided, via the Economic Development Board, to attract multinational corporations to manufacture here and export to global markets. With the MNCs came capital, technology and people. Singapore was transformed into an international hub of trade, commerce, investment, tourism, manufacturing and banking, among others. Looking back on the country's development, we can surmise that, with the world coming to Singapore, it is now a successful one-way hub. But the inflow of manufacturing and people has its limits, especially for a country with land and labour constraints such as Singapore. It may be opportune now to consider growing a second wing to the Singapore economy - by taking Singapore to the world. This would transform Singapore into a dynamic two-way hub, with both inflows and outflows of capital, technology and people to and from the global economy. MNCs, at the leading edge of the global economy, reap handsome profits from their worldwide operations. For example, helped by the South Korean government's policies and funding, Samsung has grown into a formidable MNC - contributing a hefty 17 per cent to South Korea's US$1 trillion (S$1.4 trillion) gross domestic product in 2013. Switzerland, a country of eight million, has 15 MNCs among the Fortune 500 companies. The overseas earnings of MNCs and of their nationals contribute significantly to the home country's wealth. And these MNCs owe their continuing success to their deep technical and domain-specific knowledge. One way of growing Singapore's second wing is to develop the country's own MNCs for higher-end products and services in the global market. These Singaporean MNCs can seed supporting industry clusters and spin-offs for the Singapore economy as well as provide a full spectrum of jobs, from chief executives and managers to professionals. This will increase national wealth and contribute to people's prosperity. To create Singapore's MNCs, the biggest challenge is to change the risk-averse mindset of our institutions and people. We should avoid an environment that encourages job-seeking and induces fear of failure and losing out. More among us need to think big, to be risk takers, and to become entrepreneurs and job creators. Our institutions and society need to do more to encourage individual initiative and risk-taking, especially among our younger generation. We should provide more opportunities for the young to open their minds to new ideas and experiences, to learn street smarts through encounters with different cultures and people, and to build the self-confidence to thrive in a changing world. We should celebrate those who venture beyond safe harbours, strike out on their own and achieve hard-won success. We need to nurture a more confident younger generation, with innovative spirits and global minds, who can help Singapore succeed in the world. Singapore has its advantages. New opportunities are being created by the rapid economic rise of China and the tide of the Pacific century - driven by talent circulation and entrepreneurial capitalism. In this regard, Singapore's geographical location is very favourable. The country also has a multicultural, multilingual, highly educated population. Many hold overseas degrees and a good number of highly successful Singaporeans reside abroad. In addition to human capital, Singapore also has substantial financial assets. But global competition is getting tougher. Entrepreneurs sharpened by competition in the global arena have the best chance to thrive in worldwide markets. The Economist this month reported that: "The average time a company spends on the Fortune 500 list has fallen from 70 years in the 1930s to about 15 years today." Entrepreneurship is a "contact sport". More Singaporeans need to cut their teeth in the world's leading entrepreneurial hubs in large economies. While there are efforts to help local start-ups go global, existing initiatives are largely directed at launching start-ups and growing them here. There are some initiatives to launch overseas start-ups, but their size and scope are limited. The inflow of manufacturing and people has its limits, especially for a country with land and labour constraints such as Singapore. It may be opportune now to consider growing a second wing to the Singapore economy - by taking Singapore to the world. I would argue for a major initiative - Singapore's moon project so to speak- to help Singaporean entrepreneurs, those with big ideas and ambition, launch and grow their start-ups in places such as Silicon Valley and Shenzhen. We need to have initiatives that are more ambitious in scale and scope. One such initiative would entail building a network of innovation platforms of people, start-ups and incubation centres in hubs such as Silicon Valley, Berlin and Shenzhen, the tech start-up capital of China. These global platforms can offer diverse environments for supporting entrepreneurs, fermenting ideas and seeding of disruptive technologies. They can also serve as channels for our global entrepreneurs and start-ups to acquire domain- specific knowledge that encompasses, among other things, organisations, products and worldwide markets. An innovation ecosystem, built around Singapore and its global operations of entrepreneurs and platforms, can be a viable strategy for developmental purposes and for growing start-ups into Singapore's MNCs. Achieving this success within a generation could be the mission of "EDB 2.0: Singapore - A Dynamic Two-Way Hub". It will fall on the younger generation to actualise Singapore's second wing. To achieve this, society's relationship with the young cannot be based on expediency. Rather, society should offer opportunities that maximise the potential of the young and prepare them to become valuable players in the worldwide talent market. The writer is the former president of the National University of Singapore, and now university professor at its Faculty of Engineering.